Tammy365: Should Christians come with Warning Labels? 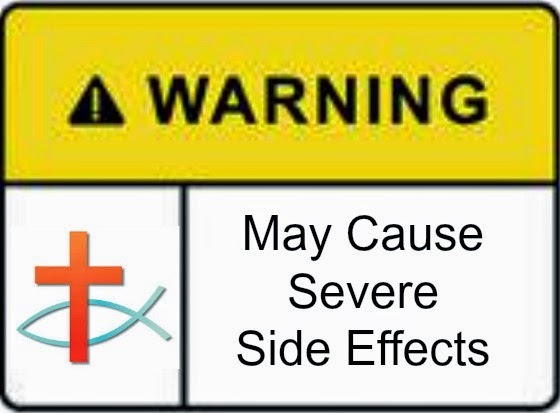 Should Christians come with Warning Labels? I received an email from a sweet friend last week. She forwarded a devotion from Holley Gerth entitled "Why Your Joy is Worth Fighting For Today." You can read it by clicking on the title in red. As I was reading the devotion, I got an unusual yet close-to-truth thought. Should Christians come with a warning label? The words in her post that rattled this question from my brain are "We've all probably had well-meaning people say to us, "Just be joyful!" like it's an easy thing. As if the moment we decided to follow Jesus our lives would be cotton candy happy forever so we should just get with the program." I must admit it is difficult to be joyful every day. I don't think we should so easily use "we are human" as an excuse, although we are broken and fallible. I think here's where the injustice lies. Christians (I want to call us Believers) understand other Christians. Folks who don't have their belief rooted in Christ don't understand when we aren't cotton candy happy forever. Therefore, should we come with a warning side effect label? Some days our moods and what comes from our mouths might cause depression or nausea. We can get so mundane about our salvation, our speech causes drowsiness. We might be overly zealous causing agitation and nervousness. We can even cause confusion. These side effects occur in others not us. We think we are holding up our end of the joyful noise verse when others are wondering if they really want to trust our God with their lives.